Eve Parker je samozavestna in uspešna ženska, ki s svojim zaročencem Gregom načrtuje poroko. Vendar ga nekega večera po naključju ujame z drugo žensko in dojame, da jo je ves čas samo izkoriščal. Ko odpove poroko, jo prijatelji prepričajo naj si oddahne in odpotuje na Irsko, kamor sta z Gregom nameravala na medene tedne. Tam spozna postavnega domačina Seana, s katerim si na začetku nista najbolj naklonjena. A ne da se zanikati, da med njima obstaja privlačnost. Kmalu pa se na vratih prikaže Greg, ki je odločen, da bo ponovno osvojil Eve. Le za katerega se bo odločila? Eve Parker (Sheridan), a driven and successful advertising executive from Los Angeles, is devastated when she finds out her fiancé, Greg (Baladi), has been cheating on her. 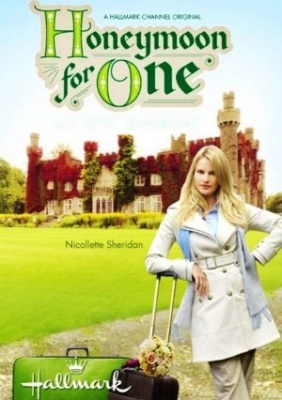 Leaving Greg behind, Eve decides to go on their honeymoon alone-to a breathtaking castle in the Irish countryside that Greg's company has just bought and plans to turn into a golf course. But Eve soon discovers staying in the honeymoon suite isn't so sweet when everything starts to go wrong, from her lost luggage to her repeated run-ins with the estate's manager Sean (Wise), a handsome outdoorsman with a knack for getting on her nerves. It's a culture clash between this big city girl and nature-loving Irishman, but soon Sean sweeps Eve off her feet. Then, just as Eve is trading in her high heels for hiking boots, Greg shows up and threatens to turn Sean's beloved land into the eighteenth hole and charm Eve back to the altar. Now, it will take more than just a little luck o' the Irish to save this honeymoon from going haywire!